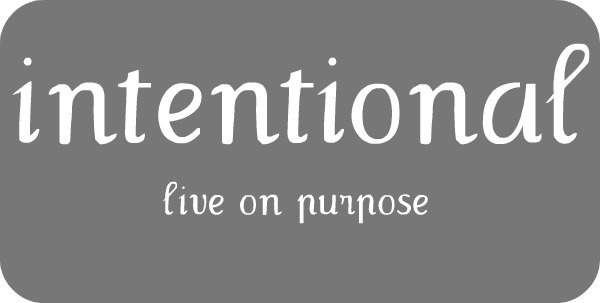 Rationale: Too often I find myself just going through life without really doing things without a sense of purpose. Rationale: Who doesn’t need to save more money! This is a no brainer. I will however do it backwards to make it easier as the year goes on. Resource: This challenge has been posted everywhere, Facebook, Pinterest, etc. I’ve included a picture below for reference. The goal is to have $1378 at the end of the year. I’m planning to create a separate saving account and do automatic transfers to achieve this goal. This is will also ensure that I have more than the $1378 with the interest that will accrue. Rationale: I love pictures and think it would be great to capture a photo a day and have a photo representation of 2014. Resource: I thought about doing this personally and then found Capture Your 365 when I was looking for some ideas of images to capture. 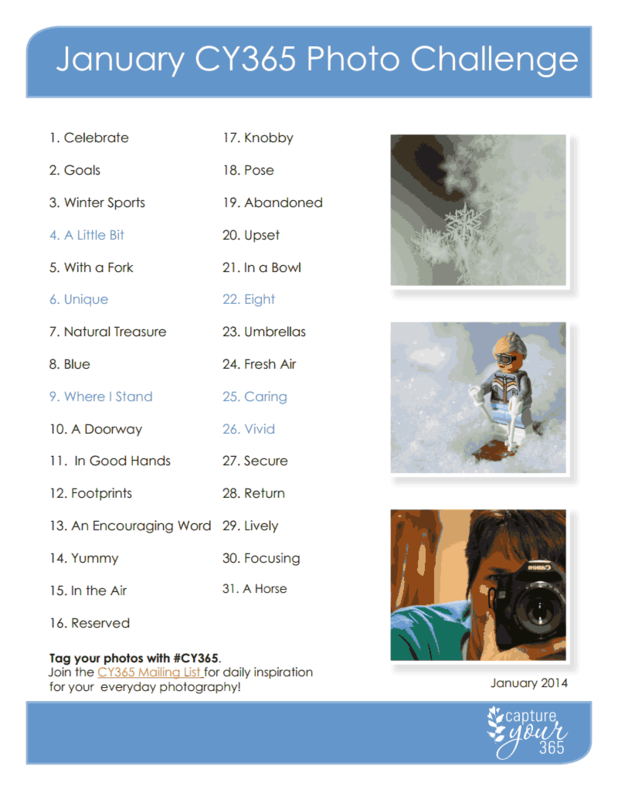 Below is the January list of suggested daily images. I have signed up for the daily reminder and plan to post the images on instagram. 4. Read and complete the daily challenges from One Month to Live. Rationale: I’ve read the book, but haven’t really followed through with the study materials associated with it. 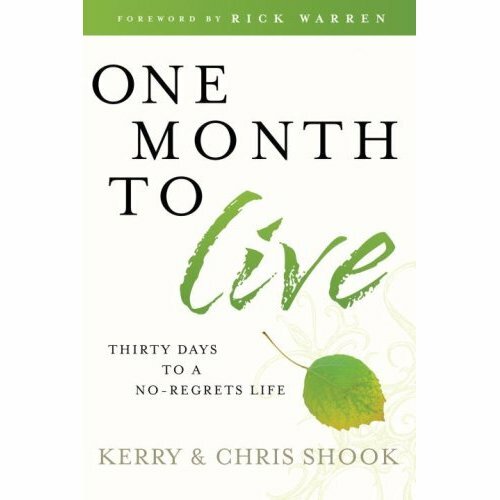 The book is all about living life on purpose which again is a goal for 2014 and beyond. Resources: I already own the book and the study materials thanks to gifts from my mother years ago. The website is also full of resources for this task as well. So there you have the first four challenges of 2014! Wish me luck! 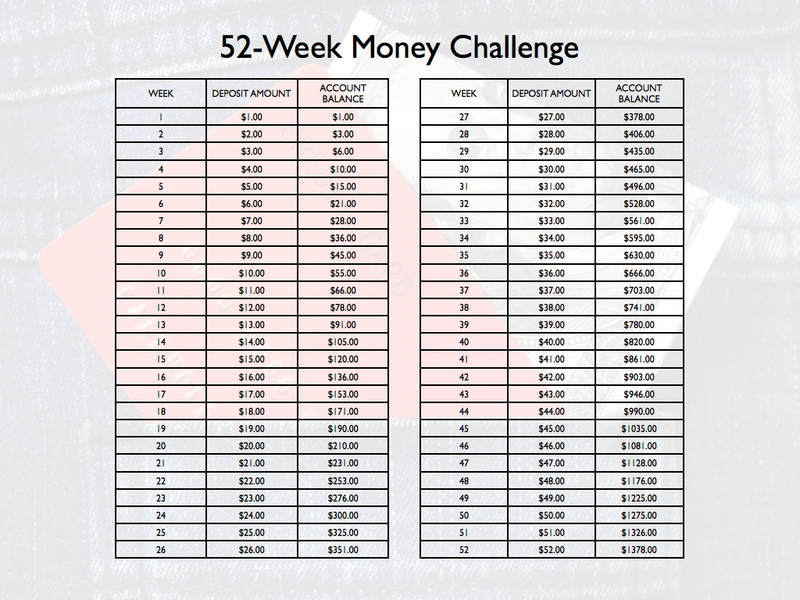 Tags: 52 week money saving challenge, be intentional, capture your 365, Challenge, january, new year, one month to live. Bookmark the permalink.